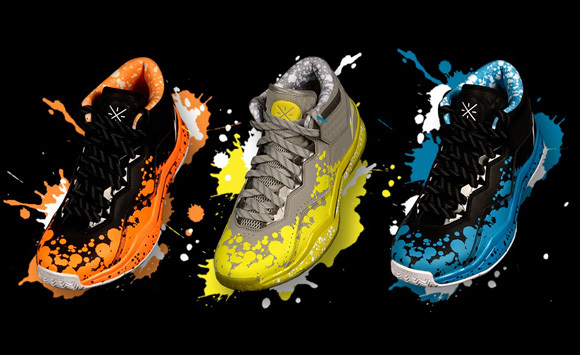 Li-Ning has been releasing colors of the Way of Wade 3 left and right, and the entire ‘Drip’ series is now available. You can choose from three options – or grab all three if you got it like that – which include an Orange/ Black, Yellow/ Grey, and the Nightwing2303… I mean, Blue/ Black colorways. If you’re interested in any of the three, you can grab each of them now at Shop.WayofWade.com or stay tuned to SunlightStation.com as they’ll be getting theirs in the next few days. The colorways look dope but, I’m gonna wait for the 3.5. Hopefully they fixed the performance issue. Has anyone played in the WOW 2.5(Encore Overtown’s)? I’m interested in getting a pair but I don’t know how the translucent traction would perform. My “305” Drips just came in the mail yesterday. Along with a bunch of other goodies. I FREAKING LOVE THOSE SHOES!!!!! I would think by now the should be a WoW 3.5 out already. Unless they plan to release it later on. Does anyone know how the traction is outdoor for the WOW3? The Overtown is half translucentand half solid rubber. The Canvas WOW3 are all translucent and these Drips are solid rubber. Yellow on the grey pair? Yellow?!!! Should’ve kept the red and just changed the name from Dexter to something else. The black/blue colorway is nice. Also the black/orange looks clean. Still kicking myself for not picking up the Original drips when there was free shipping from Sunlightstation. Money was tight so I decided not to.